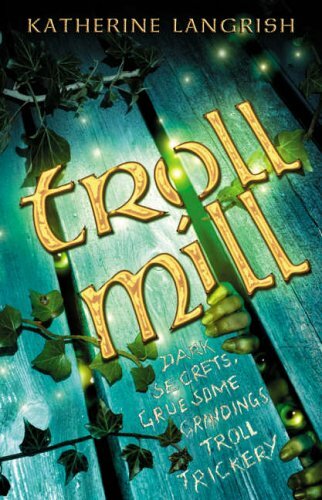 This is the second book in the Troll trilogy. It is about a boy called Peer and his friend Bjorn and they have just been fishing. Peer goes down to the village to Bjorn’s house and finds Kirsten there, Bjorn’s wife. Kirsten gives Peer her baby and tells him that she is going home. She runs to the beach with a seal skin and she wraps herself in it and she throws herself into the sea and disappears! In Viking mythology, vikings believed that seals could come out of their skin and sit on the rocks in the form or men or women, just like mermaids. You can capture seal-people by taking their seal skin and hiding it. Until they find it, they will live with you and when they find it they will go back to the sea. I liked this book lots. It was a bit scary but it wasn’t too scary. 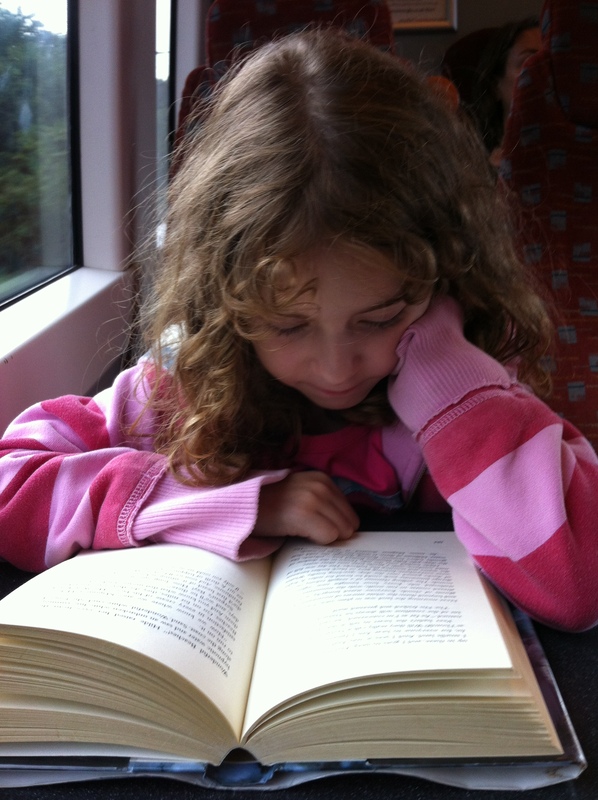 This is the last book, so far! This was my favourite book in the trilogy, so far! Maybe my favourite book in the world! This is the longest book I have ever read at 400 pages!!! A ship arrives at the bay with a skipper inside and his young wife Astrid and his son Harold. They are looking for new recruits for their ship sailing to Vinland. Hilde makes friends with Astrid and decides to go with her to Vinland. She can only go if someone goes to look after her and Peer decides to go with her. On the journey, Astrid tells Hilde that she has troll blood in her family. She then shows Hilde a box which is buzzing and she says that it tells her things. In the middle of the journey, Astrid shows Hilde her goatskin bag which is moving. They open it and out comes the Nis, a little house spirit and shoots up the mast screaming like a seagull! Peer has to climb up the mast, pull him down, shove him in a chicken coop, pull out some feathers from a chicken, run back onto the deck and say it was a giant seagull whilst waving the feathers! This book made me laugh a lot. Until the end, when I cried because there wasn’t another book in the series. It is the most awesome book in the whole world, so far! 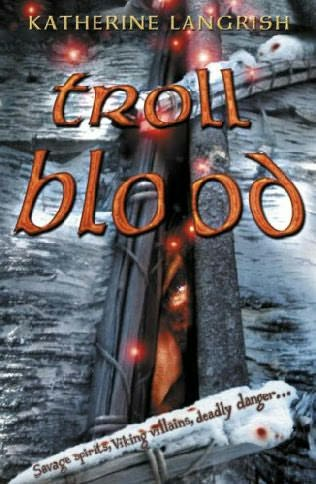 This entry was posted in Book Review and tagged Book Review Troll Blood, Book Review Troll Mill, Katherine Langrish, trolls, vikings. Bookmark the permalink.